For 3/8" O.D. metal tube. Use these tube nut couplers in conjunction with our tube sleeves (sold seperately) to seal bulkhead fittings to fuel cells, oil tanks and other applications using hard line fitting situations. You need to flare the tube to 37° to match the AN fittings. Not for use with 45° flared lines. 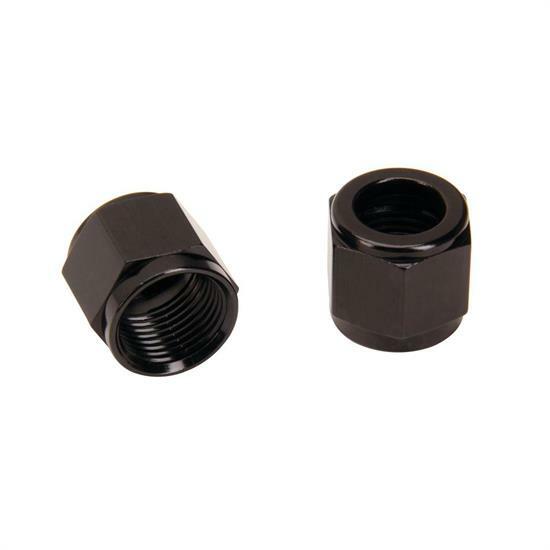 Speedway 481810-BL Aluminum Black Tube Nut Coupler -10 AN, 5/8"